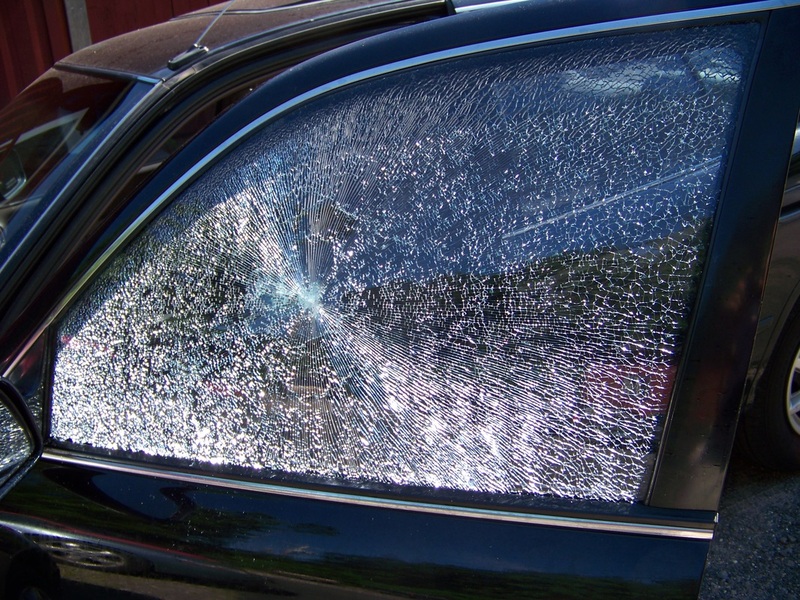 This window was struck by a beer bottle from a passing car. Note how it held together. No glass entered the car.